Amazon.com Price: $16.25 (as of 2019-04-22 02:22:47 GMT) Product prices and availability are accurate as of the date/time indicated and are subject to change. Any price and availability information displayed on Amazon.com at the time of purchase will apply to the purchase of this product. 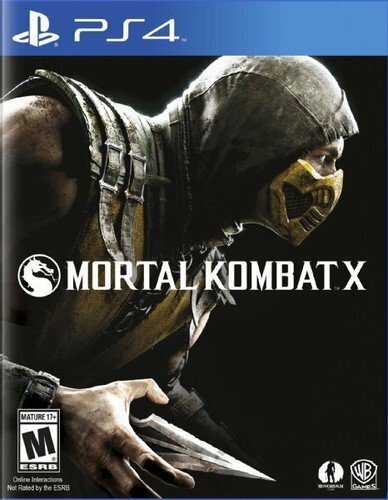 Featuring Klassics such as Scorpion, Sub-Zero, Raiden and Kano, as well as new characters such as Cassie Cage, Kotal Kahn, Ferra-Torr and D’Vorah, the roster will include fan favorites where both good and evil must battle it out. A deep story mode continues up to 25 years after the events of 2011’s Mortal Kombat and advances the dark tale – introducing new characters such as Cassie Cage, daughter of fan favorites Sonya Blade and Johnny Cage.